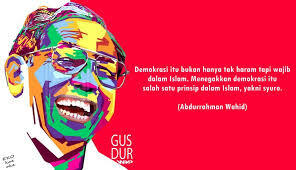 Muslimedianews.com ~ The NU prominent ulema (Muslim scholar) KH M Tholhah Hasan said that Indonesian Muslims must be ready to adopt a more mature democracy by at least giving more rooms to non religious ideas. According to Kiai Tholhah religious conviction should not be used as a means of measuring democracy and it is therefore inevitably that community groups should be capable of living in harmony and respecting for each other." "Actually Indonesian Muslims are prepared for democracy and those who are unprepared and not ready for democracy are not the people but some of their leaders," he told NU Online here recently. He took the Democratic Forum established by the late KH Abdurrahman Wahid for instance, there were negative and positive responses and said that its establishment was meant as part of finding ways to get out of undemocratic practices performed by the New Order government. "I do believe that healthy national life could only be developed in a democratic environment for without democracy there will certainly be a fertile soil for the growth of suspicion, selfishness, tendencies and many other unexpected things," he said.